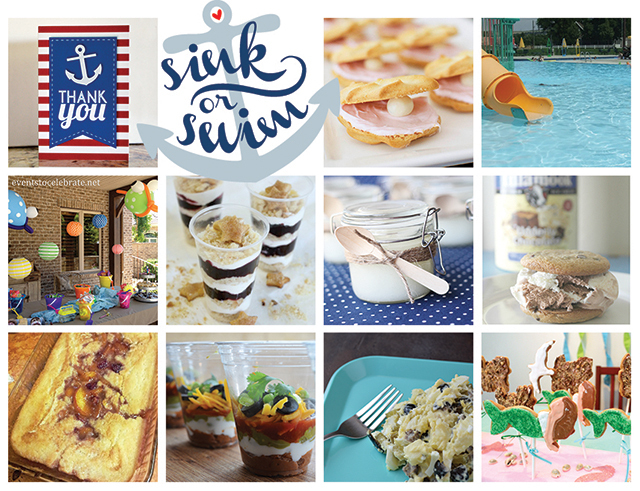 I’m so excited that today we are sharing all sorts of fun ideas for your party. 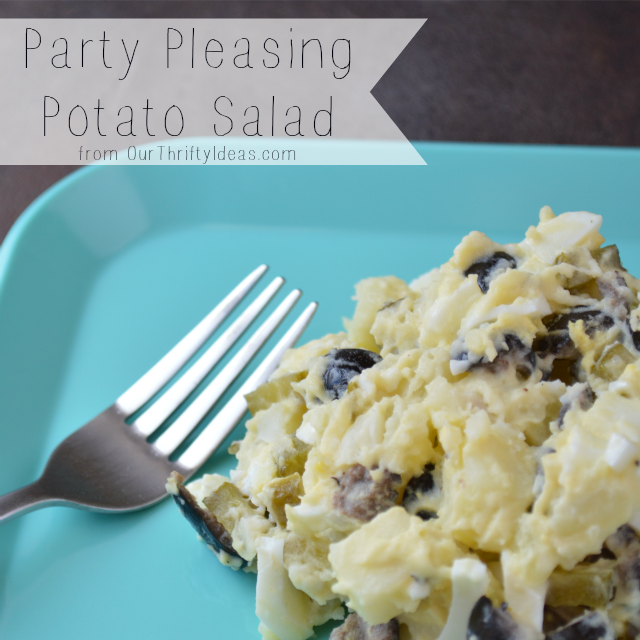 Today I am sharing my go to party food Whenever someone asks me to bring a side, I automatically go to my potato salad recipe. It’s definitely a crowd pleaser. People are even requesting it now when I come to BBQ’s. OK!! slice your potatoes into bite size pieces and boil for ~20 minutes until soft. Drain and place in the fridge to cool. slice up eggs, olives and pickles and place in a large serving bowl. Make sauce and add to the large serving bowl. Stir in cooled potatoes and then refrigerate until ready to serve. Super quick, easy and absolutely delicious! What is your favorite thing to bring to a party? Make sure to check out all of the other fun ideas to help you throw the perfect party. Oh, and if you haven’t already, please please please head over to enter the party giveaway. It’s kinda amazing! Looks amazingly delicious! Can’t wait to try it out! I’m so not a potato salad girl but this looks right up my mom’s alley I’ll definitely have to pass it along! This looks delicious! I am sure my mom would love this! Always looking for great things to bring to BBQ’s. I just pinned this one. Thanks! Yum yum. 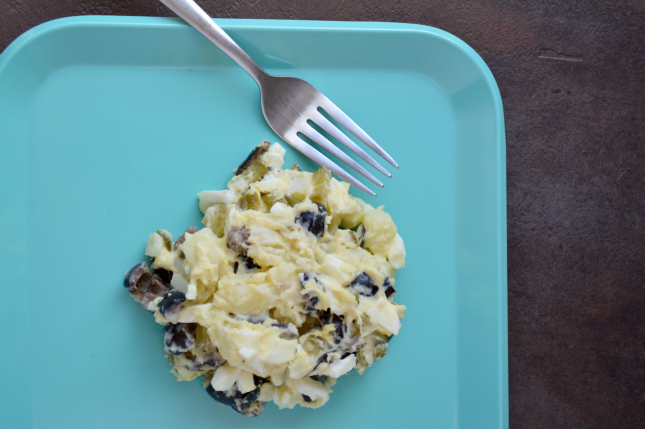 I love potato salad, but would you believe I have never made my own? Guess now I know what recipe to try with! Yummy! I love make-ahead dishes, and this looks outstanding! I miss your potato salad! It IS delicious! Yumm!!! Perfect dish for my next party :)!